If you lean to the romantic side and are also a fan of bestselling books, this is the perfect decorative wall sticker for you! 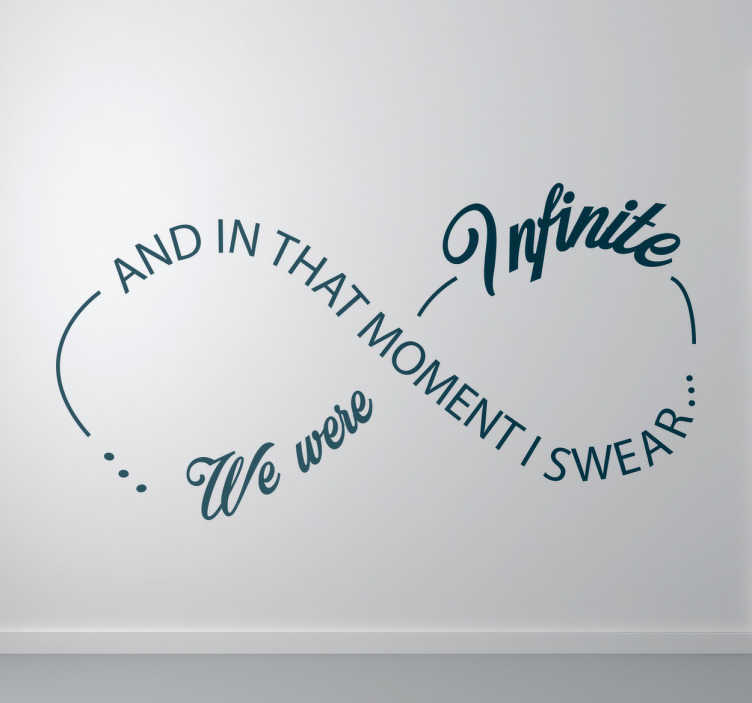 Featuring a quote from the well known John Green book "The Perks of Being a Wallflower", this vinyl features the text "And in that moment I swear... We were infinite" written in the shape of an infinity symbol. Ideal as a gift, this sticker is available in a range of different sizes!